Swachh Survekshan is a ranking exercise taken up by the Government of India to assess rural and urban areas for their levels of cleanliness and active implementation of Swachhata mission initiatives in a timely and innovative manner. OBJECTIVE: The objective of the survey is to encourage large scale citizen participation and create awareness amongst all sections of society about the importance of working together towards making towns and cities a better place to live in. In 2018, Jammu secured 212th position at the national level, a jump of 39 ranks from what it had secured in 2017. The Jammu city scored 2025.81 marks out of 4,000 which are above the state and national average marks. Jammu city secured 1,068 marks in direct observation which is also above state and national average marks and 817.18 marks in citizen feedback which is above the state average marks. Jammu city secured highest marks among all the urban local bodies of the state. This year, Union Minister Hardeep Singh Puri launched a 25-day “Swachh Survekshan 2019”, covering 4,237 towns and cities in the country. According to the Union Housing and Urban Affairs Ministry, the digital and paperless survey is the fourth edition of the annual cleanliness survey of “Urban India”. The survey indicators/questionnaire carries a total of 5000 marks as compared to 4000 marks in Swachh Survekshan 2018. Direct Observation (On-field independent observation and collection of data): The collection of data from Direct Observation is based on physical observation of the survey agency. Citizen Feedback is collected from Citizens directly (face to face), through Outbound Calls, 1969, Swachhata App/Swachh Manch and through Swachh Survekshan-2019 portal. In addition to collecting feedbacks, performance of SwachhataApp is also evaluated under ‘Citizens Feedback’. The survey is being conducted by an independent third party, is to encourage large scale citizen participation, ensure sustainability of initiatives taken towards garbage free and open defecation free cities and provide credible outcomes. 1. 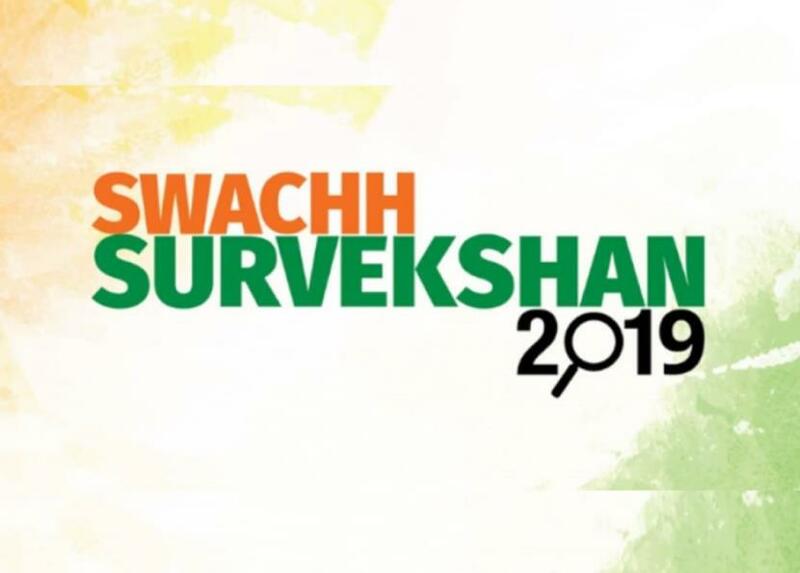 Are you aware that your city is participating in Swachh Survekshan 2019? 2. Are you satisfied with the cleanliness level in your city? 3. Are you able to easily spot litter bins in commercial and public areas? 4. Are you asked to give segregated dry and wet waste to your waste collector? 5. Do you know where your waste goes after collection- dumping site/sanitary landfill or processing site? 6. Do you find urinals/toilets accessible and clean now? 7. Do you know the ODF status of your city? The week long poll revealed that majority of the citizens is unaware about this year’s 100% Digital Swachh Survekshan campaign. Jammu Municipal Corporation did put in efforts in the beautification projects for Jammu city by organizing various competitions for painting walls and flyovers but this time, the campaign had to be fully digital and JMC has failed in doing so. Time and again, Prime Minister Narendra Modi has laid emphasis on the importance of digital literacy and scope of social media websites but our municipality seems to pay no heed. Persistently, Prime Minister Narendra Modi has talked about digital literacy and power of technology and social media and they way it has transformed itself to a way of life. It is surprising that they have let their Facebook page to sit dormant for such an extended period of time. Nothing has been posted in the year 2018 and the last post was updated on 5th January. Such a lackadaisical approach towards digital platforms would certainly lower Jammu’s ranking on the Swachh Survekshan 2019 survey. Jammu Links News requests all the readers to take part in the online feedback survey to help Jammu get a better rank than last year at least.